“The hotter the mess, the more I like it!” Areef (Corporal) Fadia Ashrawi, Naffatûn Regiment. Central Norstralia Front. Paradiso. Second Offensive. 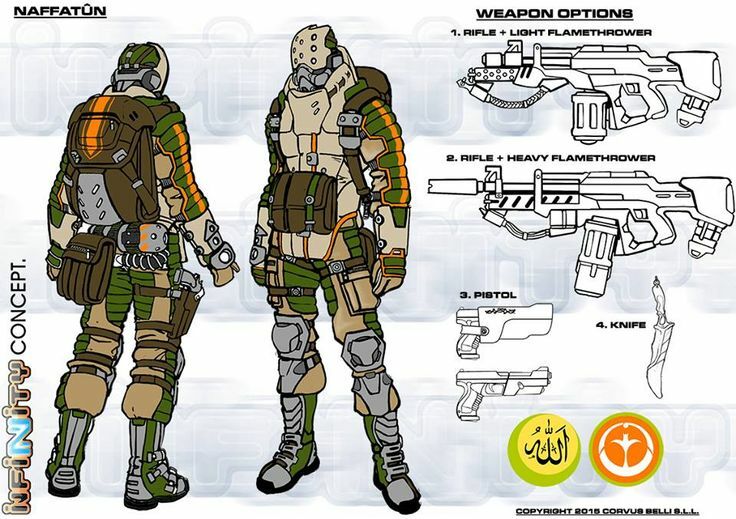 The Naffatûn are a specialist unit of the Ghulam Infantry, capable of operating incendiary armaments. Although their operational profile comprises only assault techniques and close combat skills, the protracted Paradiso conflict has showcased their special aptitude for actions in the planet’s dense jungle environment. 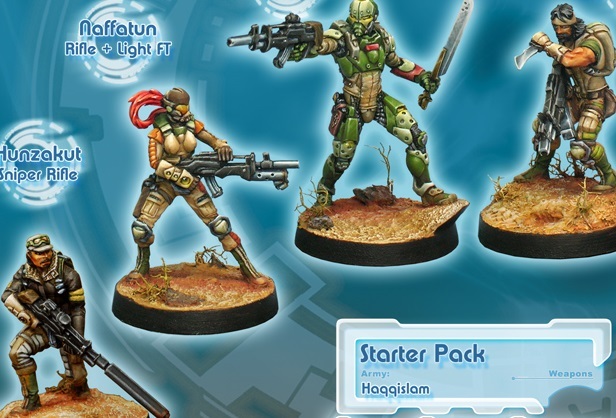 Naffatûn are deployed as a light assault force, effective against other infantry forces, to open trails and clear areas of enemy presence, an operation they call “weeding out”, a crude term for an even cruder task. 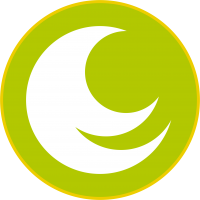 Naffatûns tend to be left alone in combat. Think about it. They carry as much flammable equipment as they can. They backpacks are full of extra Napht (hyper-concentrated napalm) charges and their flamethrowers are full of pressurized self-accelerating incendiary gel. A lucky shot, or even a stray bullet, is liable to set them ablaze and turn their surroundings into a fiery hell. Would you choose to stand by their side?